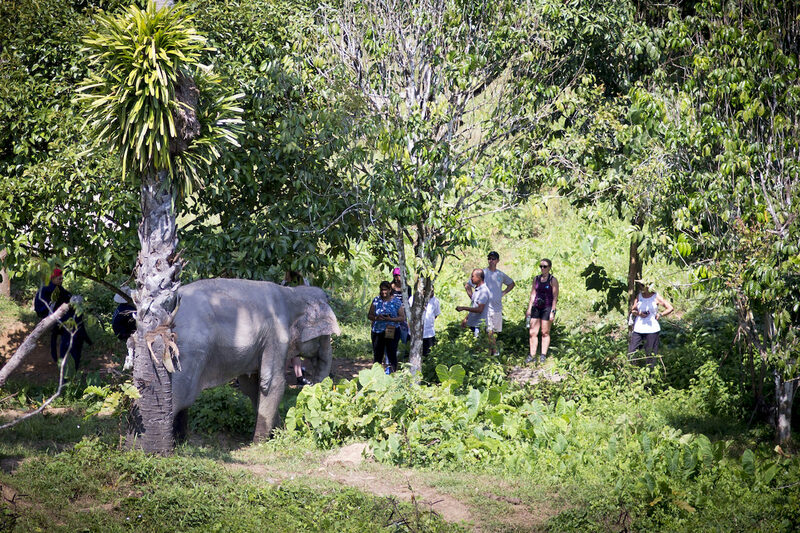 Phuket’s first ethical safari type experience, our afternoon with the elephants program is ideal for elephant enthusiasts and nature lovers as it offers the opportunity to observe the animals at a respectful distance while they roam through our manicured forest and bathe in our expansive pond. Your visit starts with an educational video presentation at our Tree Top Reception to prepare you for your time with the elephants and to understand the importance of protecting this beautiful animal. We then head down into the forest to find the elephants. Depending on where they are, we may explore the forest grounds or sit in one of our Observation Salas. Umbrellas, wellington boots and rain coats are available if needed. 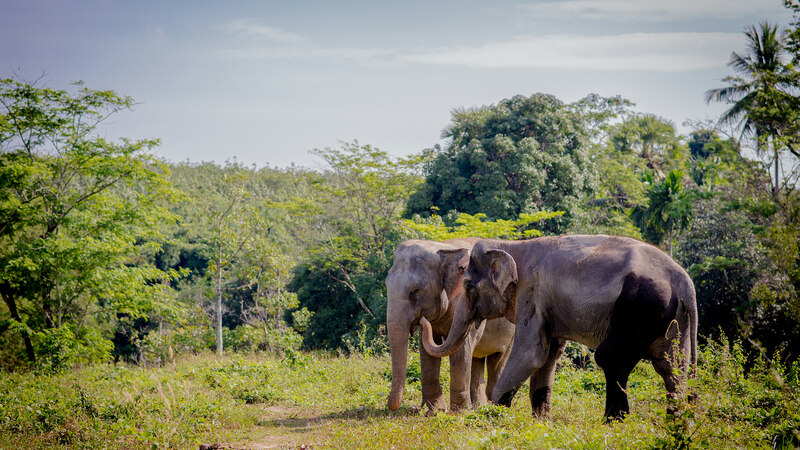 Towards the end of the afternoon we walk the elephants up to our Tree Top Reception where you have the incredible opportunity to feed them some delicious treats before the elephants retire to their night shelters. Our Afternoon with the Elephants is ideal for passionate elephant lovers and photographers as you will gain an in-depth knowledge, enjoy fantastic photo opportunities and experience an unforgettable few hours in the presence of the earth’s largest land mammal. *** The entrance fee does not include transportation to and from the Phuket Elephant Sanctuary. Joined roundtrip transfers from any accommodation in the Phuket province and back to the same location are available at a THB 500 surcharge per adult (THB 250 for children below 12 / free for children below 4). *** Private transportation is also available upon request. Please select your preferred “Transfer Option” during the online booking process. Your visit helps to support our work and future elephant rescues. 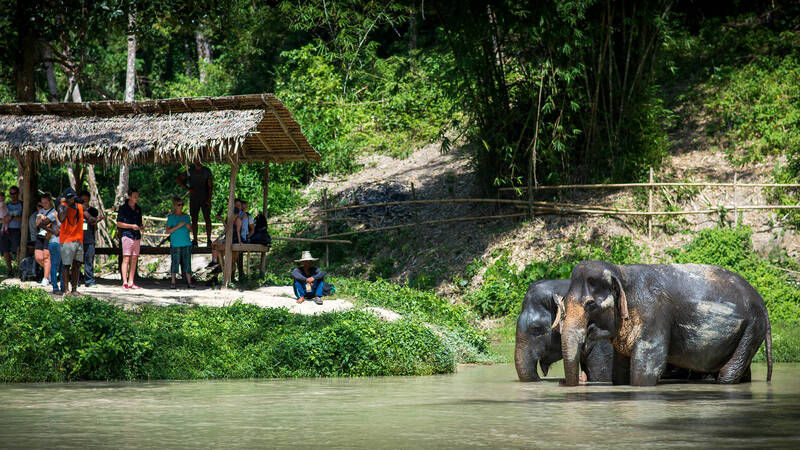 It also offers an invaluable opportunity to support ethical elephant tourism, elephant welfare, and conservation in Thailand.